The luxury mobile maker Vertu has launched Vertu TI in India. The smartphone has been priced at a whopping Rs. 6,49,990. Vertu TI smartphone looks much like the earlier Vertu smartphone. On the specs side, it comes with a dual-core 1.7GHz processor along with 1GB of RAM and 64GB of internal storage. For camera, there is an 8-megapixel camera rear camera that can also record 1080p videos and a 1.3-megapixel front-facing camera. Vertu TI sports 3.7-inches WVGA screen and runs on Android 4.0 (Ice Cream Sandwich). The company has also added its own custom User Interface. 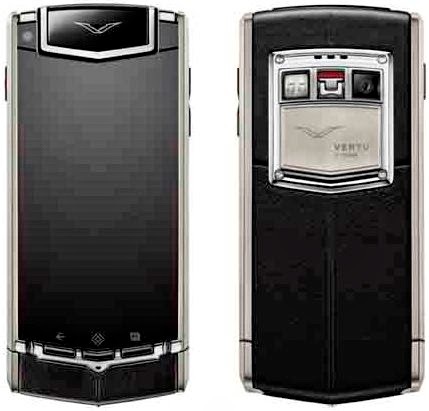 According to Vertu these smartphones have 184 individual parts, which are made by company's craftsmen in England; the body is made by Grade 5 titanium, and has a set of Bang & Olufsen stereo speakers. Furthermore, it claims that the sapphire crystal of the smartphone renders the screen virtually scratch-proof and it is tested to be four times stronger than other smart phones in terms of impact resistance. Commenting on the launch, Vertu President and CEO, Perry Oosting said, "VERTU TI is our most significant product for a decade. Android 4.0 delivers a proven and intuitive environment for users while the design and craftsmanship of the handset remains uniquely Vertu." "Vertu has pioneered and led the luxury mobile phone sector since we began in the late 90s and the great depth of our knowledge and experience can be seen in VERTU TI. There is nothing else like it."